At the Vancouver Peace Summit in September 2009, the Dalai Lama announced, “The world will be saved by the Western woman.” Absolute Love Publishing Creator Caroline A. Shearer was impacted by his statement and collaborated with leading women from around the world to explore how the feminine nature impacts humanity in the book, Women Will Save the World. 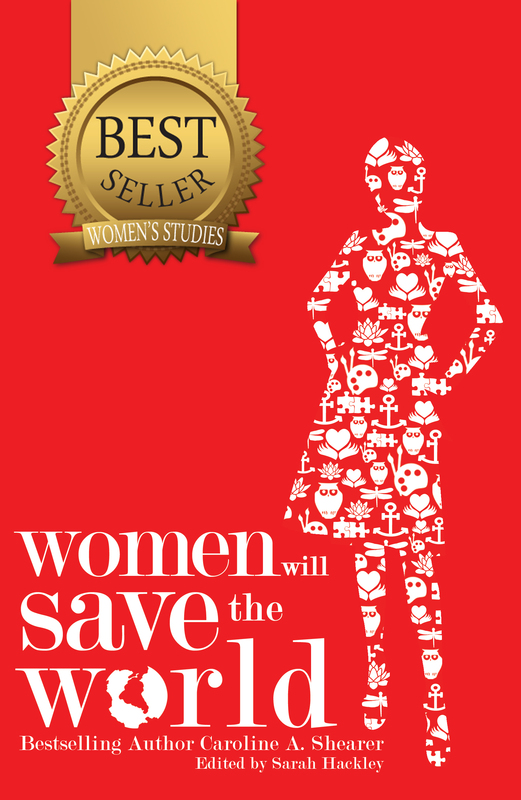 Through essays of collaboration, creativity, intuition, nurturing, strength, trailblazing, and wisdom, this women’s studies bestseller attempts to answer the question: Will Women Save the World? “Hooray! for Caroline Shearer. Her book, Women Will Save the World, is poised to fulfill the Dalai Lama’s prediction that western women will save the world. It is filled with role models from many countries and many eras to help you envision and create the changes this world needs. Author, The Prayer Chest and Where Does God Live?